TUESDAY, Jan. 16, 2018 (HealthDay News) — Giving fluids to dying cancer patients may help them live a bit longer, a new British study finds. “Hydration plays a key role in delaying the dying process,” said Dr. Agnieszka Michael, medical director of clinical trials at the University of Surrey in England. However, “why this is remains unknown,” Michael added. The team plans to continue its research. “The results from this will help improve quality in end-of-life care,” Michael said in a university news release. 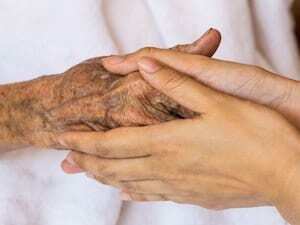 “Hydration of dying patients in palliative care delivers the gift of time. However, this is not a gift that all patients and their families desire,” Michael added. It’s a contentious issue, said Andrew Davies, a consultant in palliative medicine at Royal Surrey County Hospital. “For some patients and their families, living an extra day or so may be extremely important, as it can give them an opportunity to say their goodbyes, have family arrive from abroad, write a will or even get married,” Davies explained.